Works With Any Food Pouch For Babies! 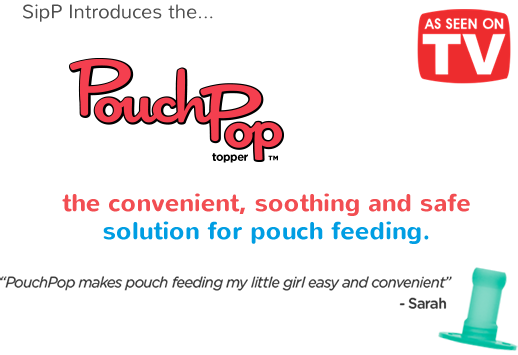 We know your life is busy, so let PouchPop take the busy out of baby feeding. 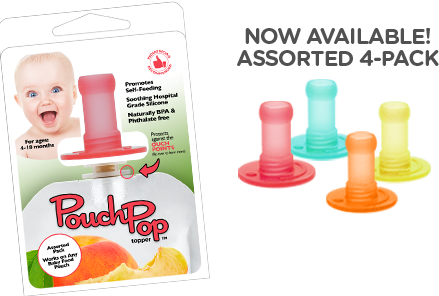 PouchPop allows for a natural transition from bottle feeding to food, teaches self-feeding and best of all it takes the ouch out of the pouch! 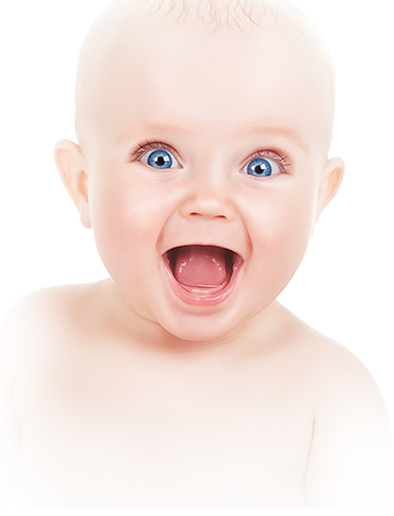 The product is made with safe hospital grade silicone and is naturally BPA free. The convenient, universal fit is easy to use and reuse. PouchPop truly is the choice of babies.